Typically, when I'm headed to a city I've never previously visited, I arm myself with travel books, and google searches for slow food suggested places to visit in that city. But for this part of our Scotland trip, I additionally had a secret weapon: I've been reading about things to do and see in Glasgow — courtesy of friends who live there — for a solid decade. Thus, our two full days of exploring Glasgow were a little off the beaten path. Thank you to Lis, Dave and Karina for having shared so many slivers of your city with me over the years. We hopped on the underground after a 5-minute walk from our hotel, Radisson Blu Glasgow, headed to the West End. We'd chosen the hotel based on its proximity to the Central train station, the underground, and the train station we'd be using to travel on to Edinburgh, and our having had a great stay at the Radisson SAS Blu in Rome a few years ago. We exited the underground loop at Hillhead station where we met up with our friends Karina and Dave who proceeded to be our most outstanding tour guides for the day. Our first stop was one of my most anticipated sites to see in Glasgow, thanks to its frequent mentions on Facebook: Auntie M's Cake Lounge. Decked out with retro furnishings, Auntie M's is an ideal place to start a Sunday morning with some tea or coffee and a slice of some of the most decadent, delicious cake you can imagine. Both the chocolate orange and the brown sugar cake were excellent. As we prepared to leave, the proprietress asked where we lived, and turns out she's also from San Francisco! Which brings me back to the question I posed on Sunday: Why don't we have a cake lounge like Auntie M's in SF? We poked our heads into some of the other shops in De Courcey's Arcade, then started our wander through the city. 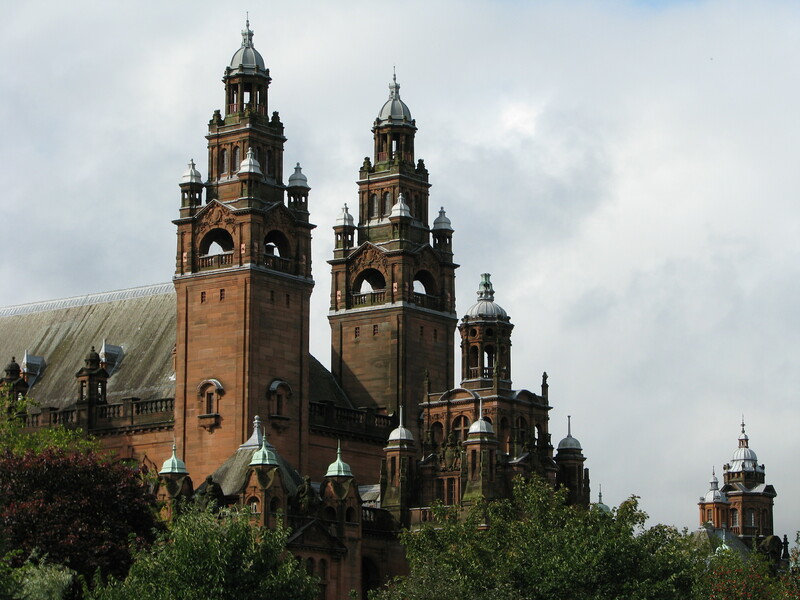 As per usual, I took many many photos of interesting architectural details as we walked around the university and over to the Kelvingrove museum. 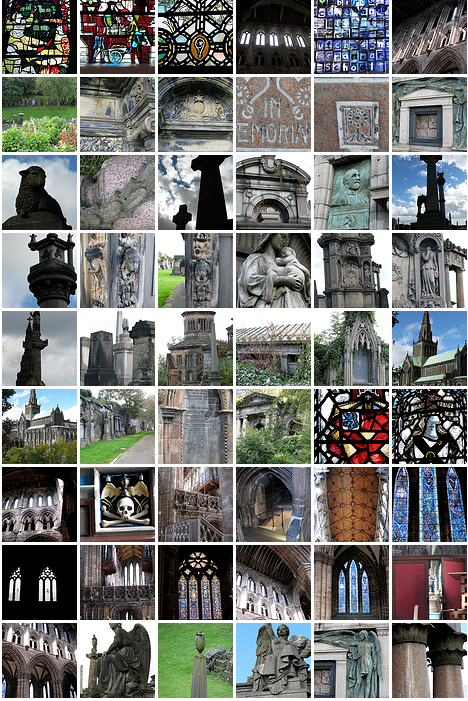 You can view those in my Glasgow album on flickr. 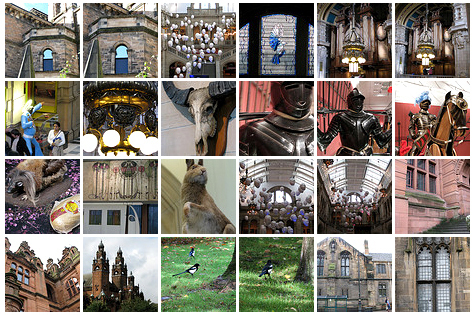 We spent several hours strolling through the Kelvingrove Art Gallery and Museum's eclectic collections. And lucky for us we happened to be there during a choral and organ program, so we were able to see its impressive organ in the main hall in action. After the museum, our walk took us up to a primary shopping street where I got to explore a Waitrose supermarket. Yes, I travelled for hours via airplane to Scotland and am publicly admitting to having been excited about having visited a supermarket. The foodie in me can't help it! I'd read a few issues of their magazine thanks to Fog City News' amazing selection of imported cooking magazines, and had hoped to be able to take a look at one of their markets. It turns out they're sort of a combination of whole foods' gourmet and organic food and selection with a trader joes like emphasis on prepared and packaged foods for convenient meals. If I lived in the UK I can tell you I'd definitely be having them home delivered. 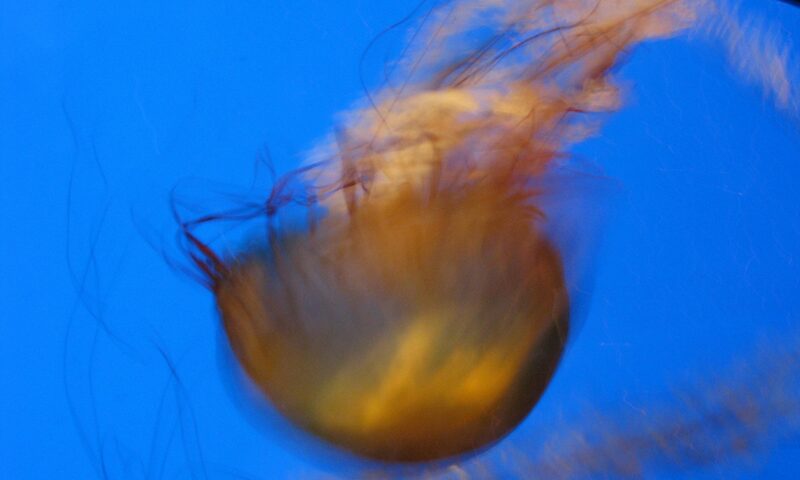 No pix from the market, I'm afraid, as I can never tell where I can or can't take photos and have been previously chewed out for taking photos in shops in England. We stopped to rest our weary feet at the Botanical Gardens, making sure to stop and see the remains of the overgrown undergrown rail line that ran through the area. We also poked our noses into quite possibly the most packed junk shop I've ever seen. I was glad I didn't have a large handbag with me, as I would have been afraid of braking something or starting an avalanche. We just don't have that sort of old school shopkeeping in the States. This wander through a day in the life of Glasgow's West Ender made me feel a kinship with this city. I'd srt of expected it to remind me of San Francisco as far as being an active, vibrant city full of people going about their business, and that is pretty much how I felt by the time I got back to the hotel to call it a night. The other primary spot I wanted to visit, again based upon having heard so much about it and seen photos of it, was the Glasgow Necroplis and St. Mungo's cathedral. I took so many photos between the two places I created a separate flickr gallery for them. We spent hours exploring the cathedral and the necropolis. I was struck by how much plant life perservered to grow in unlikely ledges in the Necropolis. Several photos show flowery weeds sprouted from the tiniest speck of dirt in a granite groove. As per usual, my favorite monuments were those with weather beaten statuary of some sort. But my favorite photo from the necropolis was of crosses against the bold cloudy sky. I was truly impressed with St. Mungo's stained glass. On a whole it was some of the most visually interesting and modern feeling stained glass I've seen in a church. And some of it, such as the depictions of various family crests, unckuding a ship's mast on top of a knight's helm, were even quite humorous. We wiled away the afternoon walking around the city center, stopping in at some vintage stores (L found a cool short sleeved shirt he bought). Our one record store excursion did yield some Jesus and Mary Chain records, but not ones I needed to complete my collection. Which is not surprising given that all I need to complete it at this point are a few limited edition 7" gatefold sleeve editions. We headed back to the West End for dinner, stopping in at a bookshop with literally 2-deep stacks of books in front of each shelf. Not a place to go if you were looking for a specific book, but the kind of place you could easily spend several hours browsing through and coming home with things you'd never even thought about previously. I resisted the urge to buy some books on Roman architecture, reminding myself how heavy my bags were without lugging home picture books. After two full days of walking the city, I felt as though I had seen everything on my must-visit list, and would efinitely need to plan another longer trip to spend some more time in the Glasgow, and to use it as a home base to explore the countryside.